The Beginning. In the 18th century, children accused of crimes were treated much like adults. Over time, incarceration became favored over executive and other punishments, though that brought concerns about housing children with older, more serious offenders. The push for a separate juvenile justice system in North Carolina began in the early 19th century. Reformers known as "child savers" led the movement after noticing a need to protect children from the influences of adult prisoners. These reformers believed that treating child offenders was more important than punishing them. Rehabilitation and discipline, they thought, benefited both the child and society. Reforms such as this set the framework for North Carolina's current system, one dedicated to the best interest of children and to the protection of the community. Early Years. The push for a separate juvenile justice system in North Carolina began in the early 19th century. Reformers known as "child savers" led the movement after noticing a need to protect children from the influences of adult prisoners. These reformers believed that treating child offenders was more important than punishing them. Rehabilitation, they thought, benefited both the child and society. Reforms such as this set the framework for North Carolina's current system. Preventing youth contact with older and more hardened criminals by placing them in separate facilities. These points were later incorporated into the Juvenile Court Statute of 1919. The act called for facilities that housed and trained only youth. 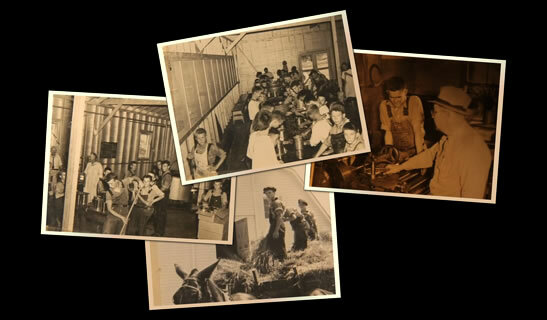 In 1909, Stonewall Jackson Manual Training and Industrial School, the first facility for juveniles, opened. In 1918, Samarkand Manor opened as the first State Home and Industrial School for Girls. In the 59 years between 1909 and 1968, the state established and operated eight training schools, as part of the state prison system. All state juvenile facilities were supervised and funded independently until 1943, when the General Assembly created the statewide Board of Correction and Training to administer a unified Training School system, the Board of Juvenile Correction.